Jabiru is a town in the Northern Territory of Australia. Visit Ubirr and Nourlangie Rock for their historical value. There's lots more to do: identify plant and animal life at Maguk Gorge, admire the sheer force of Gunlom Waterfall Creek, contemplate the waterfront views at Jim Jim Falls, and take in the dramatic natural features at Nanguluwur Art Site. To see photos, more things to do, traveler tips, and other tourist information, go to the Jabiru (Kakadu National Park) tour builder website . Chandigarh, India to Jabiru (Kakadu National Park) is an approximately 26-hour flight. Due to the time zone difference, you'll lose 4 hours traveling from Chandigarh to Jabiru (Kakadu National Park). 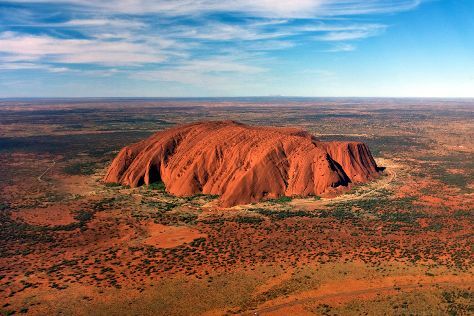 Wrap up your sightseeing on the 5th (Sat) early enough to travel to Uluru-Kata Tjuta National Park. Uluru-Kata Tjuta National Park is known for nature, museums, outdoors, trails, and classes. Your plan includes some of its best attractions: take in the dramatic natural features at Uluru, go for a walk through Lungkata Walk, make a trip to Uluru, and take your sightseeing to a higher altitude at Kata Tjuta. Do a combination of bus and flight from Jabiru (Kakadu National Park) to Uluru-Kata Tjuta National Park in 9.5 hours. Alternatively, you can drive; or do a combination of car and flight. October in Uluru-Kata Tjuta National Park sees daily highs of 38°C and lows of 18°C at night. Finish up your sightseeing early on the 8th (Tue) so you can travel to Port Douglas. Spend the 9th (Wed) among aquatic life with a scuba or snorkeling tour. Spend the 10th (Thu) spotting exotic species with a safari tour. The adventure continues: relax in the rural setting at Hartley's Crocodile Adventures, admire nature's wide array of creatures at Wildlife Habitat Port Douglas, and make a trip to St Mary’s by The Sea chapel. To see maps, reviews, traveler tips, and more tourist information, refer to the Port Douglas trip itinerary planning tool . Getting from Uluru-Kata Tjuta National Park to Port Douglas by combination of flight and shuttle takes about 6 hours. Other options: drive. Traveling from Uluru-Kata Tjuta National Park in October, expect nights in Port Douglas to be somewhat warmer, around 23°C, while days are slightly colder, around 34°C. Finish your sightseeing early on the 11th (Fri) so you can drive to Cairns. Get some historical perspective at St Monica's Cathedral and McLeod Street Pioneer Cemetery. Spend the 12th (Sat) among aquatic life with a scuba or snorkeling tour. There's still lots to do: hike along Esplanade Boardwalk, take in the exciting artwork at Bones and Jones, enjoy some diversion at Esplanade Lagoon Pool, and let the river carry you with a rafting and tubing tour. To see maps, where to stay, more things to do, and more tourist information, read Cairns visit planner . You can drive from Port Douglas to Cairns in 1.5 hours. Other options are to take a bus; or take a shuttle. In October, daytime highs in Cairns are 34°C, while nighttime lows are 24°C. Finish up your sightseeing early on the 14th (Mon) so you can travel to Leura. 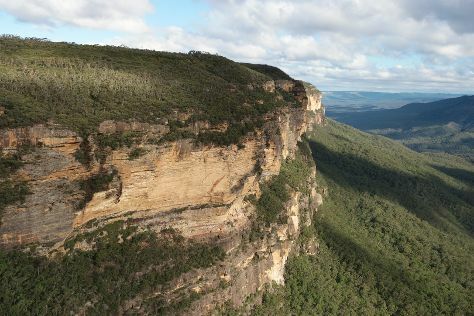 Leura is a suburb in the City of Blue Mountains local government area that is located west of the Sydney central business district in New South Wales, Australia. Your inner history buff will appreciate The National Pass and Blackheath Soldiers Memorial Park. Change things up with these side-trips from Leura: Blackfellows Hand Cave (in Lithgow), Old Wallerawang Station (in Wallerawang) and Hartley Historic Site (in Hartley). There's lots more to do: appreciate the extensive heritage of Hartley Historic Village, take in nature's colorful creations at Everglades Historic House and Gardens, pause for some serene contemplation at Saint Bonaventure's Church, and take in the dramatic scenery at Wentworth Falls. To find more things to do, reviews, photos, and tourist information, refer to the Leura trip itinerary builder site . Traveling by combination of flight and train from Cairns to Leura takes 7 hours. Alternatively, you can drive; or take a train. Prepare for slightly colder weather when traveling from Cairns in October: high temperatures in Leura hover around 30°C and lows are around 12°C. Wrap up your sightseeing on the 17th (Thu) to allow time to drive to Sydney. Visit The Rocks and Vaucluse House for their historical value. There's much more to do: see a show at Sydney Opera House, kick back and relax at Bondi Beach, get to know the fascinating history of Cremorne Point to Mosman Bay Walk, and stroll through Manly Beach. For other places to visit, photos, and other tourist information, use the Sydney trip planner . You can drive from Leura to Sydney in 1.5 hours. Alternatively, you can take a train; or do a combination of train and bus. Traveling from Leura in October, expect a bit warmer with lows of 17°C in Sydney. Cap off your sightseeing on the 22nd (Tue) early enough to travel to Melbourne. 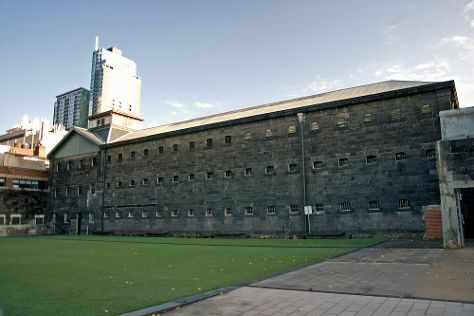 Popular historic sites such as Old Melbourne Gaol and St Paul's Cathedral are in your itinerary. There's still lots to do: browse the exhibits of Shrine of Remembrance, take in the architecture and atmosphere at Trinity College Chapel, explore the world behind art at National Gallery of Victoria, and contemplate in the serene atmosphere at St. Patrick's Cathedral. To find ratings, maps, reviews, and other tourist information, read our Melbourne online trip maker . Traveling by flight from Sydney to Melbourne takes 3.5 hours. Alternatively, you can do a combination of flight and shuttle; or drive. Traveling from Sydney in October, expect Melbourne to be little chillier, temps between 24°C and 9°C. Wrap up your sightseeing on the 25th (Fri) to allow time to travel to Perth. Get some historical perspective at Fremantle Prison and Harvey Internment Camp Memorial Shrine. 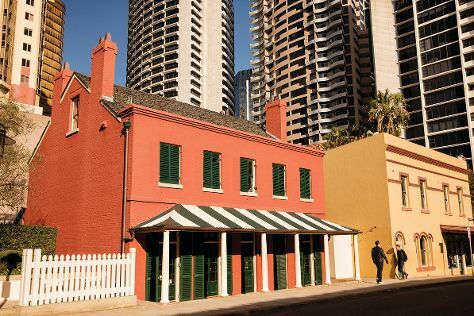 You'll find plenty of places to visit near Perth: The Fremantle Round House (in Fremantle), Stirling Cottage (in Harvey) and All Saints Anglican Church (in Belhus). 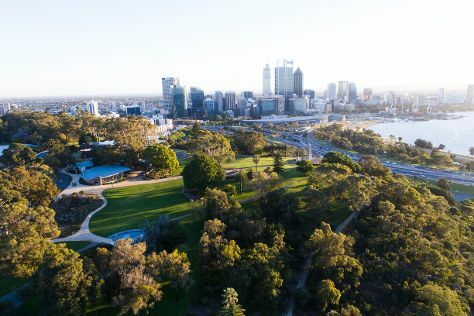 Next up on the itinerary: admire the natural beauty at Kings Park & Botanic Garden, steep yourself in history at Norm wrightson hairway, contemplate in the serene atmosphere at St. George's Cathedral, and contemplate the waterfront views at Swan River. To see traveler tips, photos, reviews, and more tourist information, read our Perth road trip planning site . Getting from Melbourne to Perth by flight takes about 6.5 hours. Other options: take a train; or drive. Due to the time zone difference, you'll gain 2 hours traveling from Melbourne to Perth. Traveling from Melbourne in October, expect nights in Perth to be about the same, around 12°C, while days are a bit warmer, around 28°C. Wrap up your sightseeing by early afternoon on the 30th (Wed) to allow enough time to travel back home.